These rolls are special, yet not hard to make. A simply dressed green salad with cucumber or radish would be a perfect accompaniment. 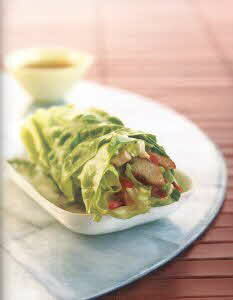 Cut them on the diagonal or cut the lettuce leaves into thirds and roll up smaller, hors d'oeuvre-size pieces.